I have seen so many status updates on Facebook lately about how much back to school items cost. One of my friends said that she paid $125 for supplies and hasn’t even bought a backpack yet! That is a lot of money for most of us. I’m a huge believer in searching for Back to School coupons online, saving as much as possible, and avoiding the department store crowds. And of course there is also the back to school clothes shopping. We like to shop for our favorite brand names, so we are left to scrabbling and searching for the best online deals at stores like Crazy 8, The Children’s Place, and DisneyStore Coupons. 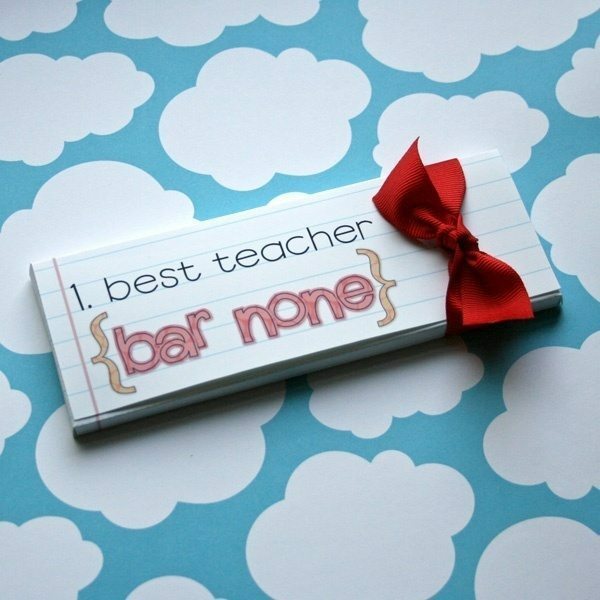 I have also noticed that in the social media world there is an abundance of Back to School teacher gift ideas. Pintrest is littered with some great and inspiring ideas. I love these because they show creativity and you don’t have to spend too much. I recently posted a tutorial for a clever Back to School highlighter gift set. This vibrant piece was fun to make with my daughter. 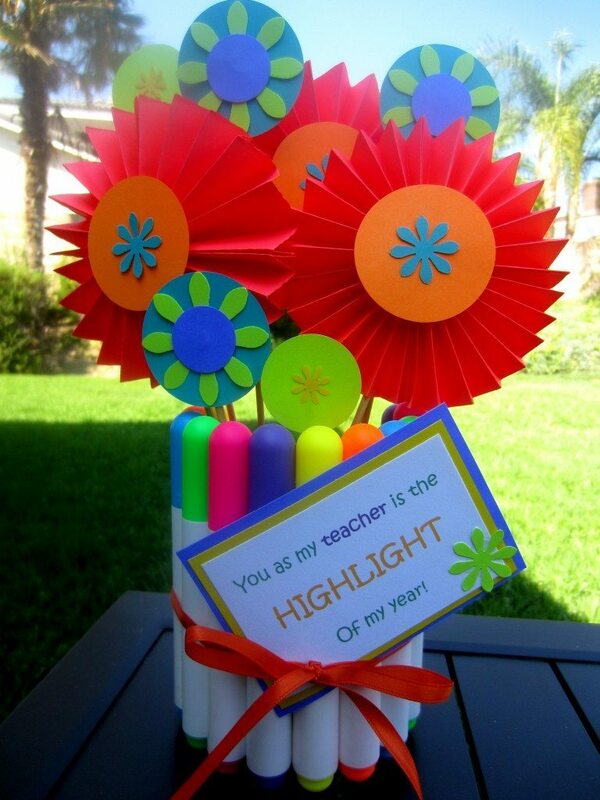 Here is another cute inexpensive Back to School teacher gift idea I saw on Pintrest (sorry I couldn’t find the source!). It reminds me of the Sweet Gift Idea post I wrote not long ago. This gift is great because with the help of your craft closet, you spend a few cents for a unique and personalized gift. Snickers – Teacher, we love how you make us laugh and “SNICKER”! Junior Mints – Teacher, you are worth a “MINT”! Peanut M&M’s – Our class is “NUTS” about you as our teacher this year! Rice Krispies Treat – I think it’s a “TREAT” that you’re my teacher! Peanut Butter M&M’s – Teacher, our class thinks you’re Magnificent and Marvelous! Milky Way – Teacher, our class thinks you are out of this world! Twix – Just be “TWIX” you and me, we love you as our teacher! Rolos – Teacher, you’re my “ROLO” model! Back to School season is an exciting time of year; however with smart shopping habits and a little creativity, it doesn’t have to break the bank! Very cute. The snicker one is my favorite. That’s one of my favorites as well! Thanks for stopping by!